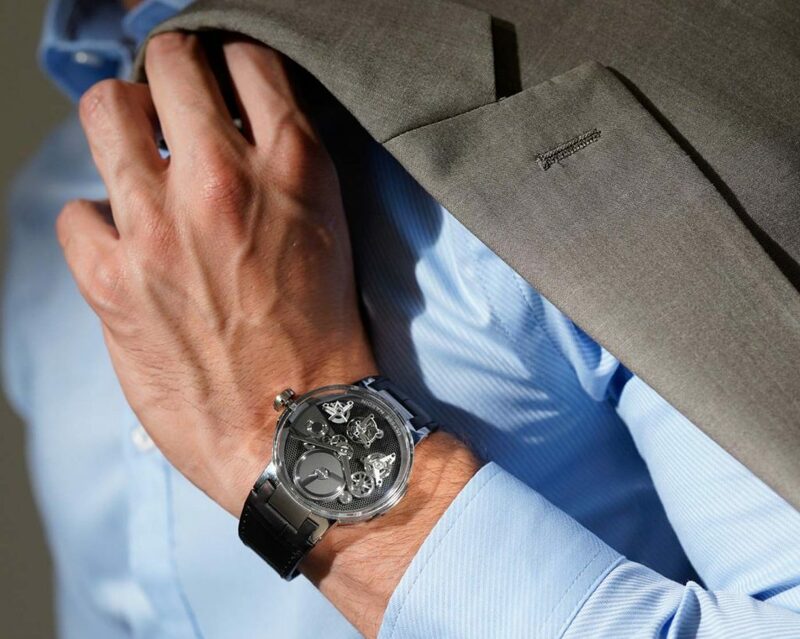 Ulysse Nardin has been slowly expanding the more skeletonized offerings of its Executive collection as of late, and with each model it seems the brand is looking to push the boundaries just a little further in terms of unique caliber design. Looking at the Executive Tourbillon Free Wheel, we’re seeing a greater dose of three dimensional movement architecture than we’ve seen from the brand in previous models, and all told we’re pretty damned fond of it. By positioning parts of its geartrain, its tourbillon escapement, and other components above a matte surface, these components appear to float freely in nothingness. While not to the same level as the Christophe Claret Maestro, viewing this clever movement design is further aided by the design of its case and unique box-domed crystal. In terms of mechanics, the caliber is a hand-wound tourbillon with a respectable 7-day power reserve that makes significant use of Ulysse Nardin’s Silicium technologies. 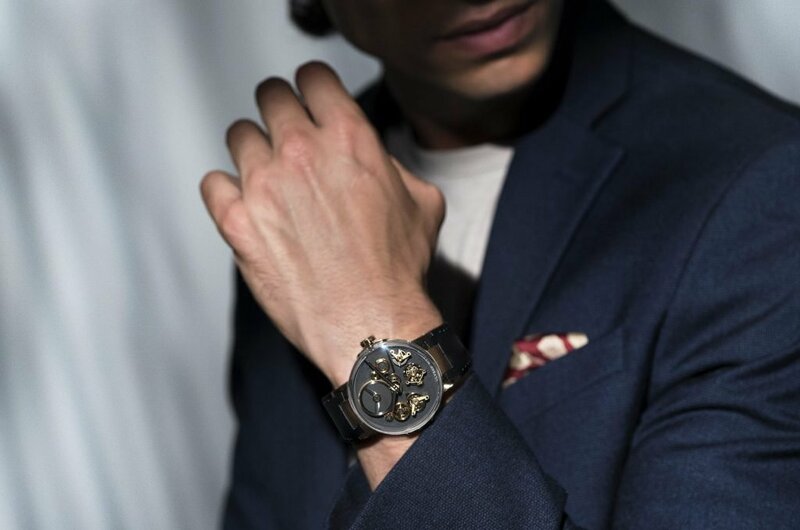 The all-new UN-176 caliber is also fitted with the brand’s clever Anchor Escapement for its flying tourbillon at the 6 o’clock position on its dial. Planned as a non-limited production model available in both white gold ($98,000) and rose gold ($96,000), these aren’t suspected to be high-volume releases, though we don’t doubt they’ll find a few fans. That said, there is the matter of one bit of competition in the market, in particular the U21 by Angelus. 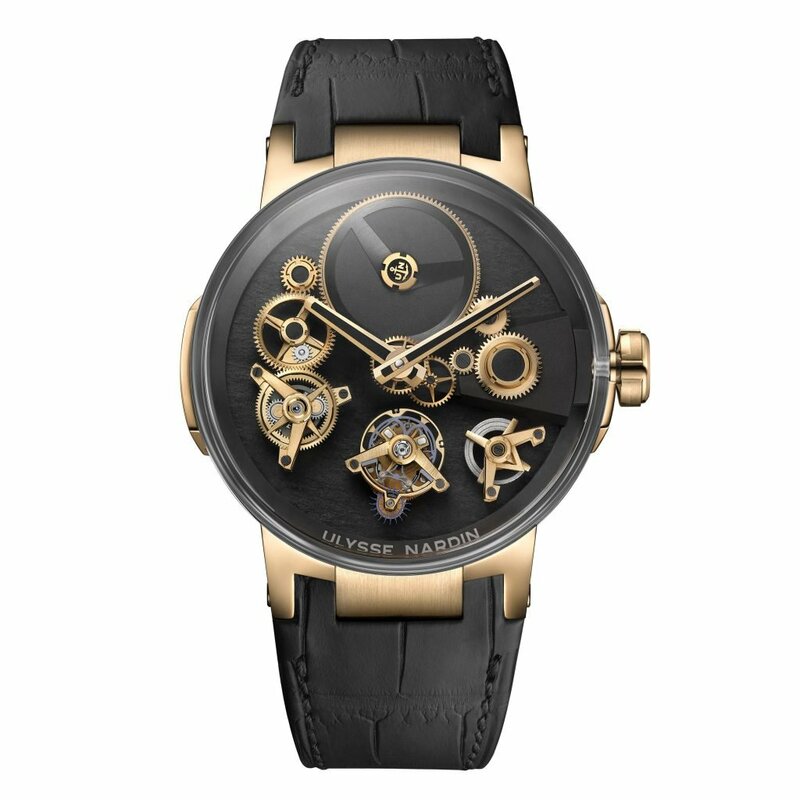 Upon first seeing this Ulysse Nardin release the absolute first thing that came to mind is the U21. 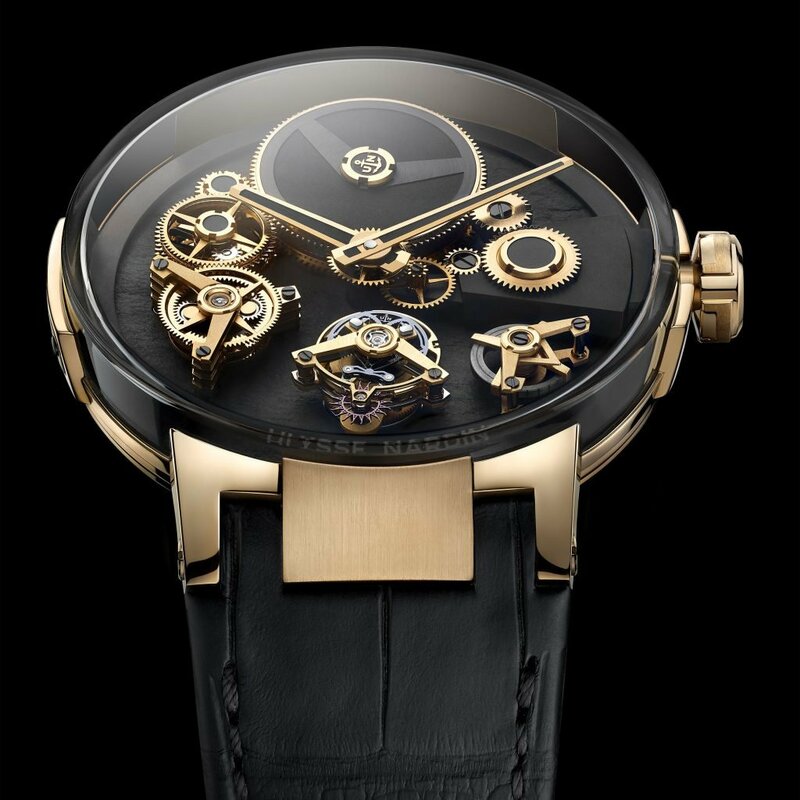 Floating bridges and components raised above a black plate—in this case carbon fiber—and an overarching box-domed crystal, and a flying tourbillon are all part of the equation here as well. Its power reserve is a touch more modest at 90-hours, but that said it also undercuts the Free Wheel by a landslide in terms of pricing. The entry price of the gold U21 is only $52,200. Not cheap, but barely more than half the price of the slightly derivative Ulysse. On top of it all, the Angelus piece are also limited to only 18 pieces in gold and 18 in titanium, meaning they should have a better time maintaining some semblance of value over the years. At the end of the day, these pieces are most likely to find homes with those who already have some sort of allegiance to Ulysse Nardin as a brand. Given their longstanding history and penchant for R&D and technical advancement, that pool of buyers is not a small one, which is good for their sake. By comparison, given the alternates out there I’m not sure the Free Wheel will convert many buyers that are new to the brand, knowing the options that are also available to them.